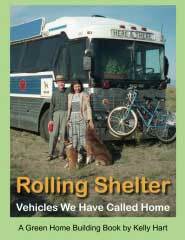 Rolling Shelter: Vehicles We Have Called Home by Kelly Hart is a personal account of Kelly and Rosana Hart’s life in two different buses, three vans, two small motor homes, two travel trailers combined into one house, and two cars. Kelly tells stories about how they spent time exploring the western United States, Mexico and Guatemala, all the while living in various RV’s. This book will inspire you and give you some ideas for how you might take advantage of vehicles to provide shelter in your life. In full color, the book features over 200 photographs and 5 detailed floor plans. With descriptions of how the conversions were accomplished, it is valuable both as an overview of vehicular dwelling and as a construction manual for how you might convert your own. One of the true joys of living in a vehicle is that it can be moved to new and exciting locations with relative ease. If you like to travel, but prefer to have your own bed and your own kitchen, then consider living in a motor home of some sort. Our First Bus Home shows the artistic conversion of a school bus parked on the California coast. Extra Wheels describes a versatile step van and a Navy radar van used as a film studio. Van Dwelling features a Ford Econoline van equipped for travel into remote places (such as Mexico and Guatemala) and a VW Vanagon camper. Juniper Ridge shows how we made a unique home combining two long travel trailers into one home that could even accommodate some of our llamas. Tortuga & CanDo were both small Dolphin motor homes built on Toyota trucks. Here & There was a full scale conversion of a 40 foot inter-city bus in which we traveled around the western United States. 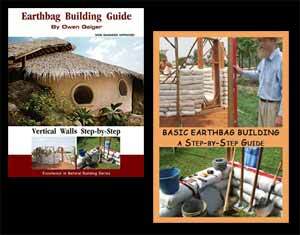 You can purchase this book directly from our e-store or from Amazon.com. It is priced at $19.95.